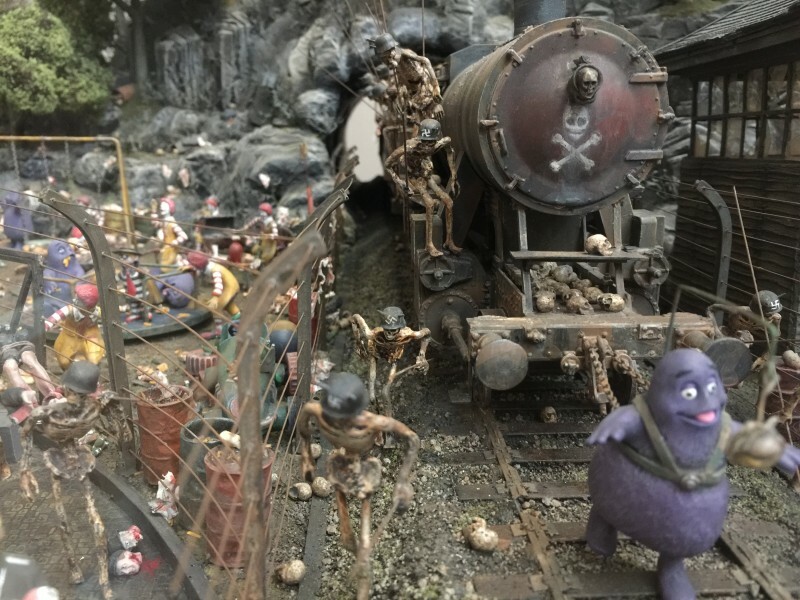 I’ve recently spent a couple of days in Adelaide and thought it would be nice to share with you my flaneuring into the city even though I don’t pretend to “know” the place after such a short stay. So consider this a sort of Mini Flâneur Guide. 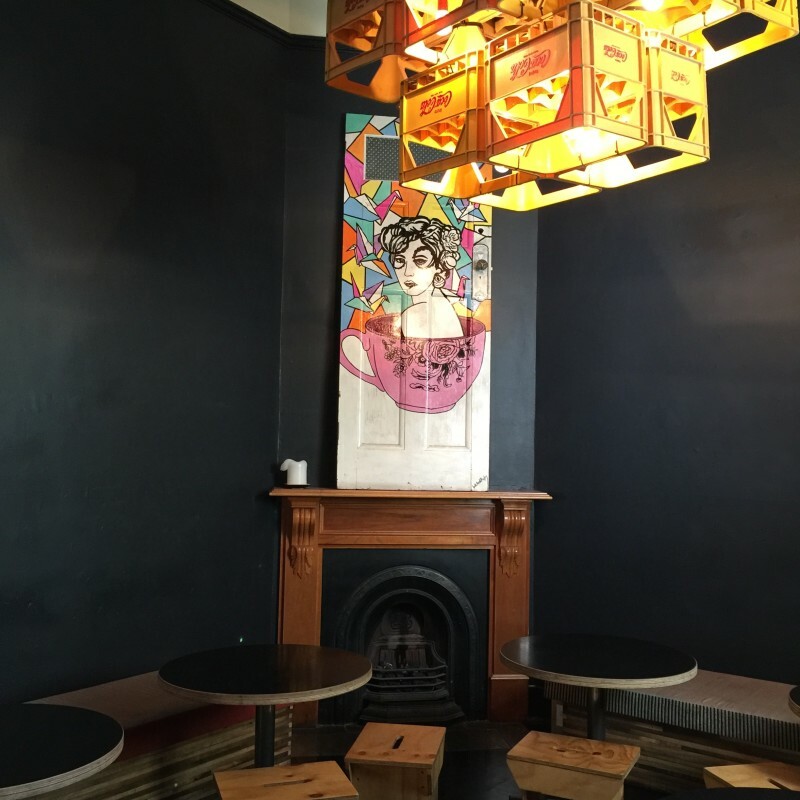 I hope the few addresses you’ll find here will be helpful to you if you are planning a short stay in Adelaide. My tips aim to help you get straight to “the point” of the town and still manage a couple of hours of Flâneur time for yourself. My first impression of the city is of a Southern Belle, a sleeping beauty in a very green setting. The city is rather small and quiet compared to the hustle and bustle of cities like Melbourne or Sydney. I describe it as “sleeping” although some interesting concepts are emerging, as if the old city is waking up refreshed.. 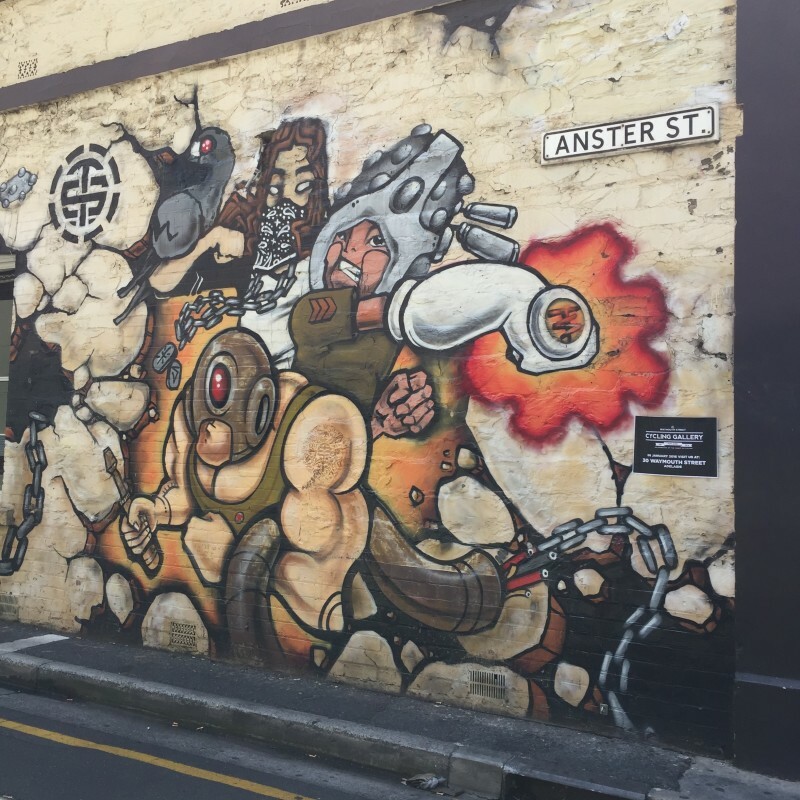 It even tries to adopt the Melbournian style laneways, with street art popping up in unexpected places. 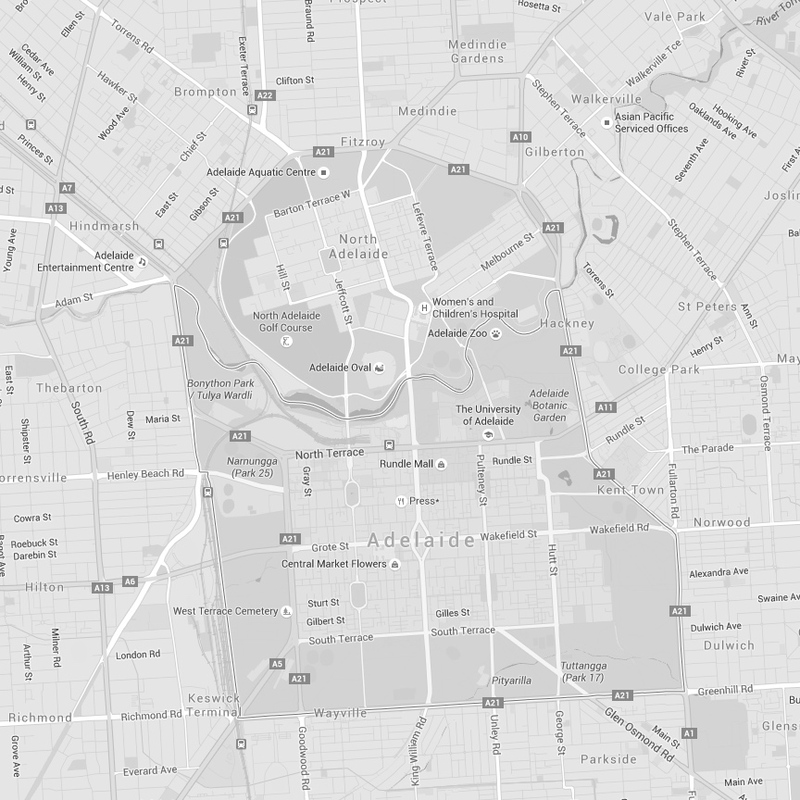 Adelaide is home of the University of …Adelaide, one of Australia’s top research institutions. Expect it to be young and lively, but, I visited during the summer holidays month of January, and the city was a bit (too) empty. 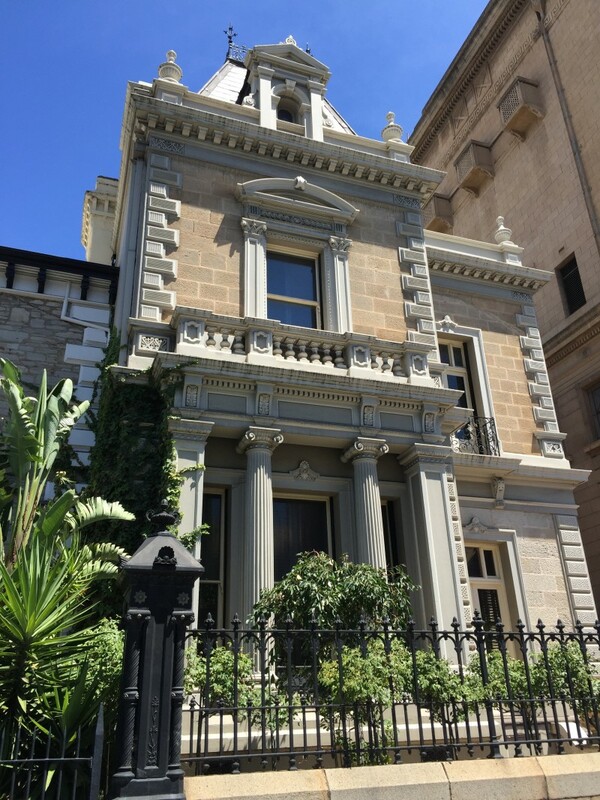 Architecturally impressive buildings conjure up Adelaide’s colonial past, and the city is surrounded by splendid hills and vineyards. 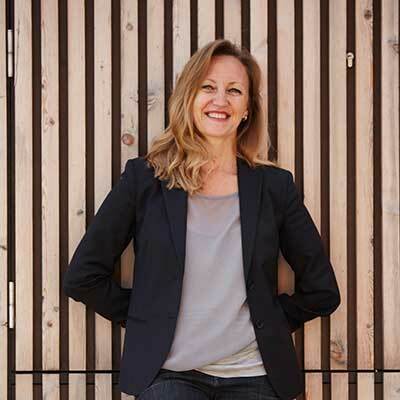 Think of the Adelaide Hills, Mc Laren Vale and further the Barossa and Clare Valley. 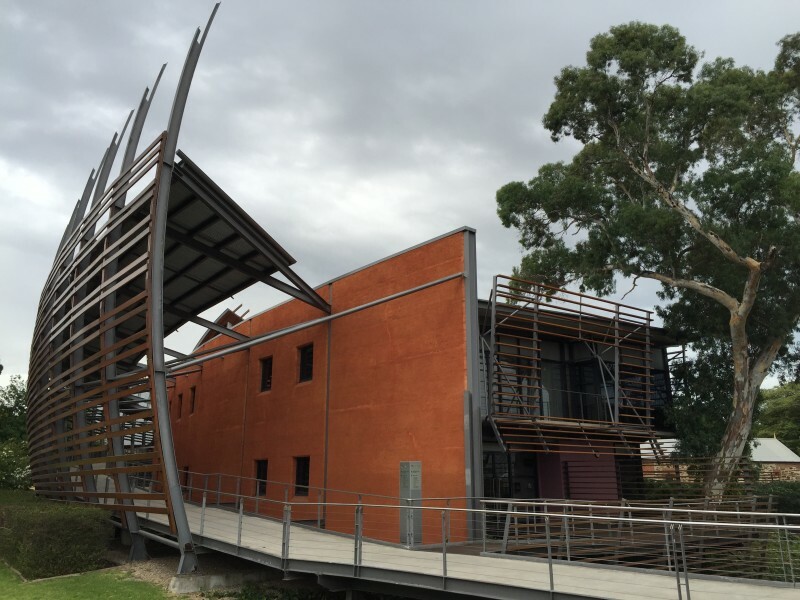 There are many parks, lush trees and an interesting botanical garden on the edge of the CBD, next to the Adelaide University and the museums. All the interesting spots to see are quite close to one another making it easy for the hurried visitor to get a quick feel of the city. 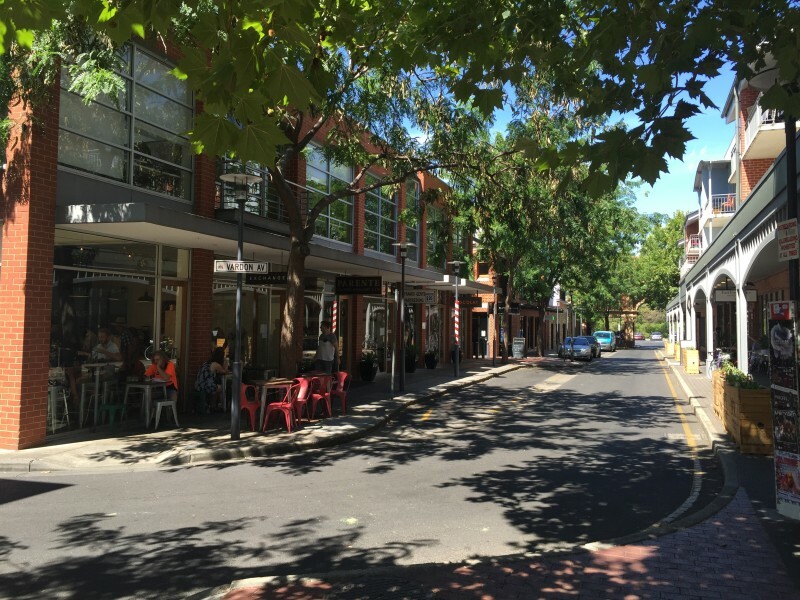 Adelaide has got a provincial ambience but its well preserved heritage is charming. 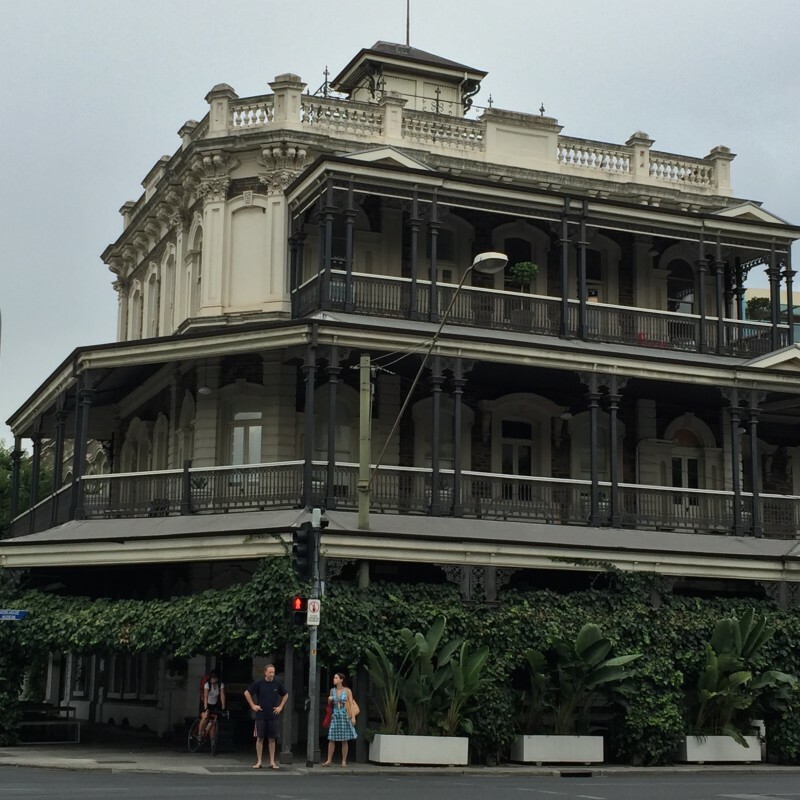 My number one pick: the Franklin Hotel, located in the CBD. This is essentially a pub with fully revamped sleeping rooms that allows you to sleep, eat and drink in the same place. Easy peasy and stylishly designed. 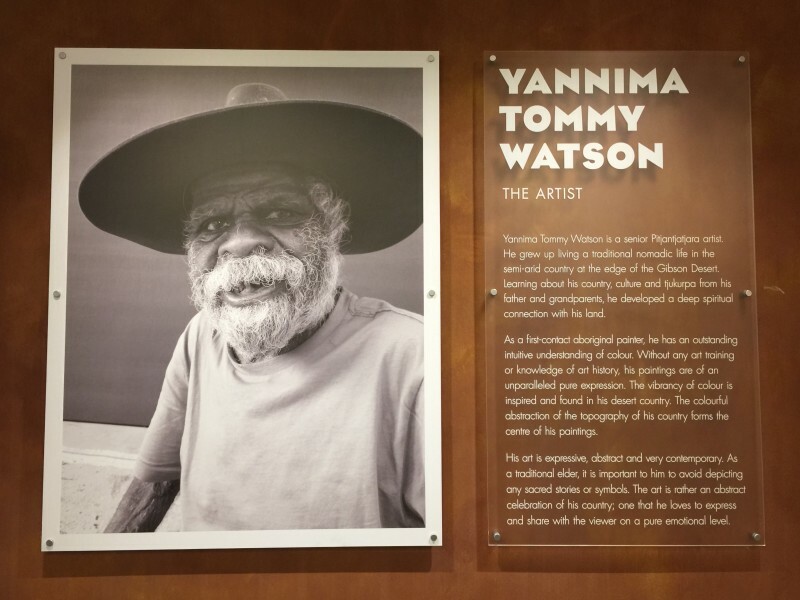 Another interesting one, if you prefer access to a pool and fitness room, is the Watson, an boutique hotel developed around the works of indigenous artist Yannima Pirkarli Tommy Watson, hence the name…. The rooms even provide a kitchenette. Just know that this option is based in Walkerville, a suburb 10 min by bus from CBD (there’s a bus stop very near the hotel frontage). Enjoy its super quiet neighbourhood, but it is a bit remote. 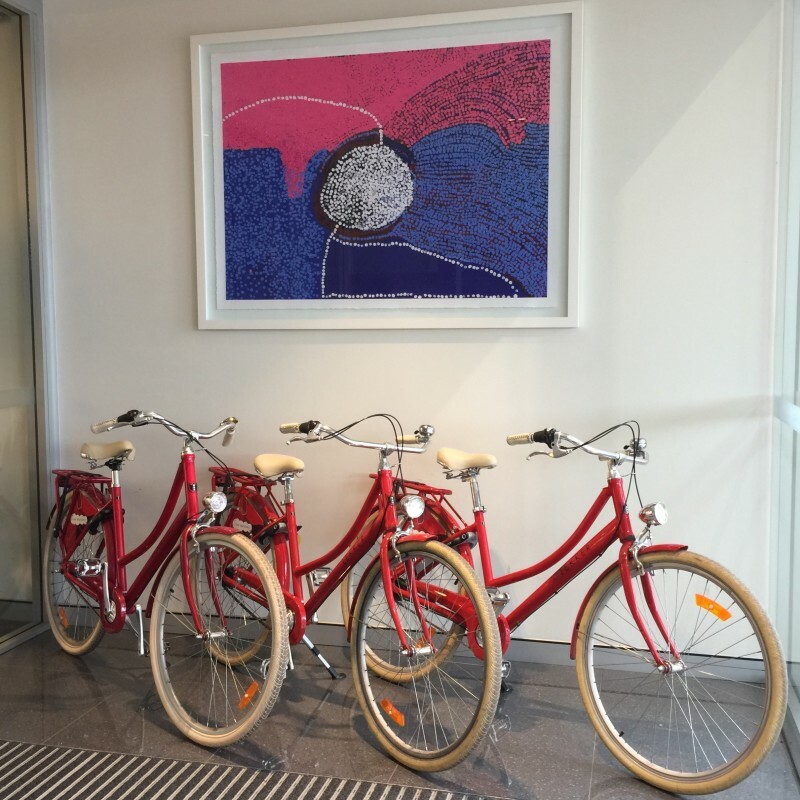 Bikes for rent at the Watson. There are also Smarts Fortwo. Press. In a lofty modern industrial setting, just opposite to the Advertiser Building (The Advertiser is a local newspaper). Book a table on the first floor. For the adventurous diner they serve offal, besides of course, other nice dishes. Caution advised on hours of business: it was supposed to be opened for lunch but was closed when I visited. So I experienced it at dinner time. 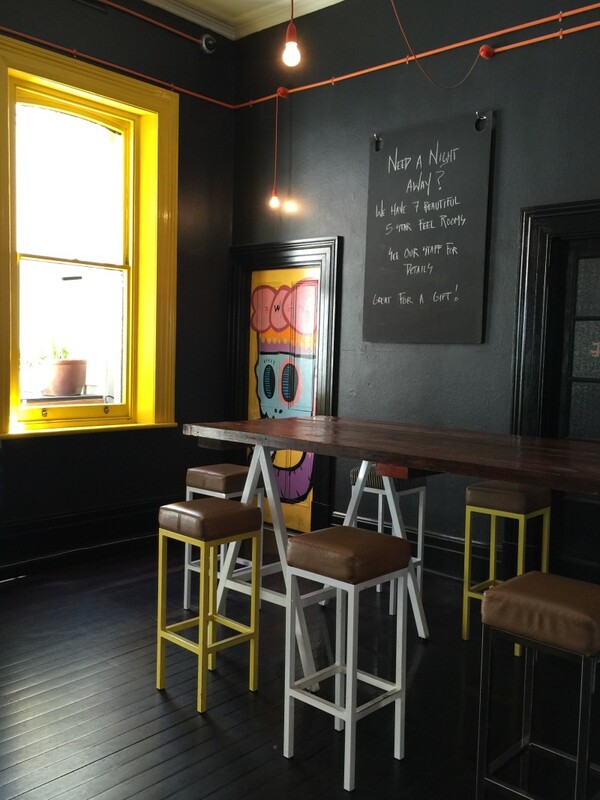 Don’t forget to finish off the evening with a drink at Proof, a cute little wine bar just around the corner (opens at 5 pm). Apothecary. As the name says, this is set in an old apothecary shop. I really liked it’s chic, nostalgic vibe. Perfect choice for a glass of wine or a full-course meal (they have an impressive menu). I enjoyed a splendid fig pannacota with a Muscatelle wine from Victoria, a nice way to end a very full day. Check business hours; I found it was only open in the evening. Cos. A nice place located on the lovely pedestrian-only Leigh street, which enables you to lunch/dine outside. It seems to be the current darling of this neighbourhood. Andre’s. 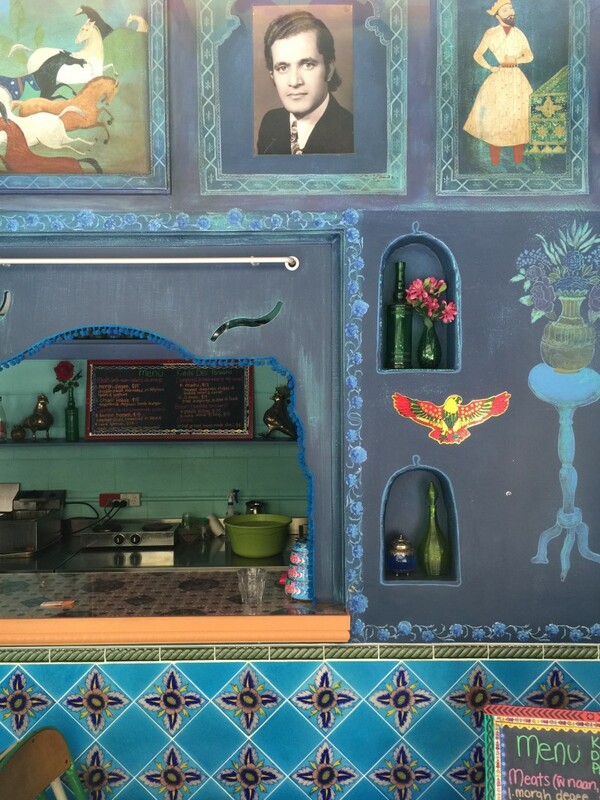 This restaurant serves Italian food, perfectly done. The service is great. 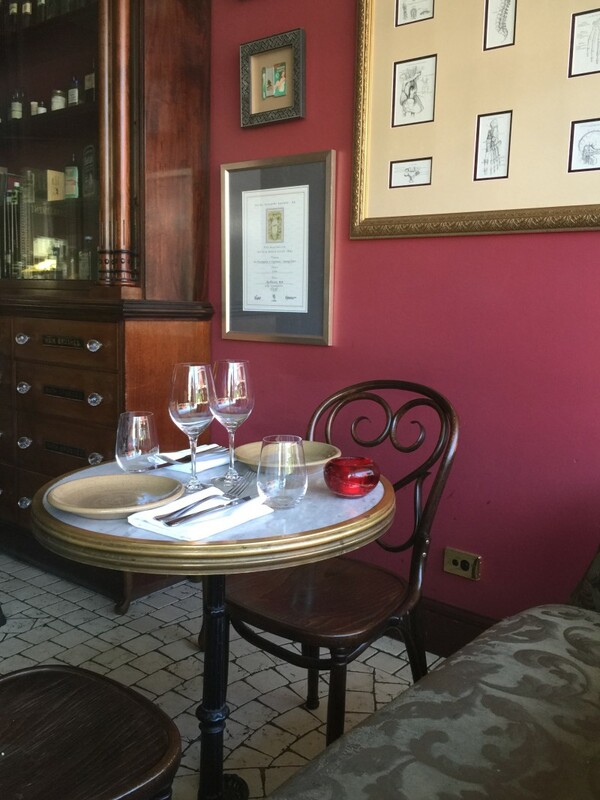 It’s not the most stylish venue (for that head to Osteria Oggi but then the ambience to show up in your bill!) but the food is brilliant and the staff friendly . What else do you need? 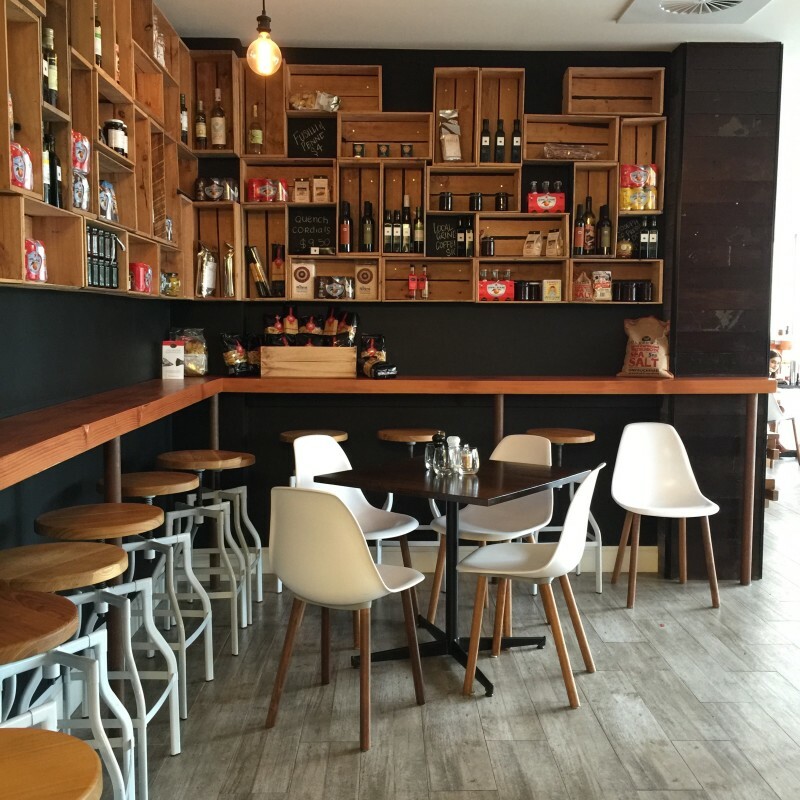 You might also try Golden boy, a traditional Thai eatery with a contemporary twist. It is set in a superb colonial building, just opposite the Botanic Gardens but I didn’t have the opportunity to check it out. 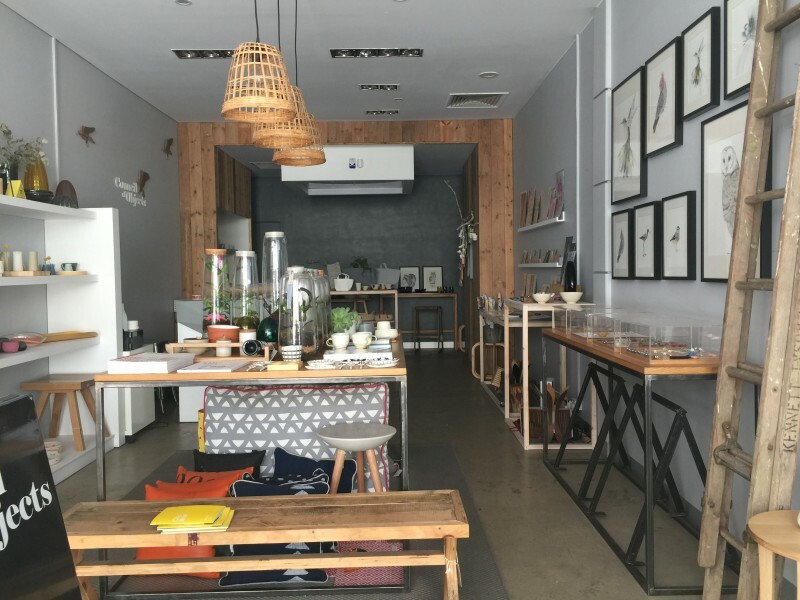 Clever Little Tailor: This hip little joint is just a few steps from the Hub, a co-working space. 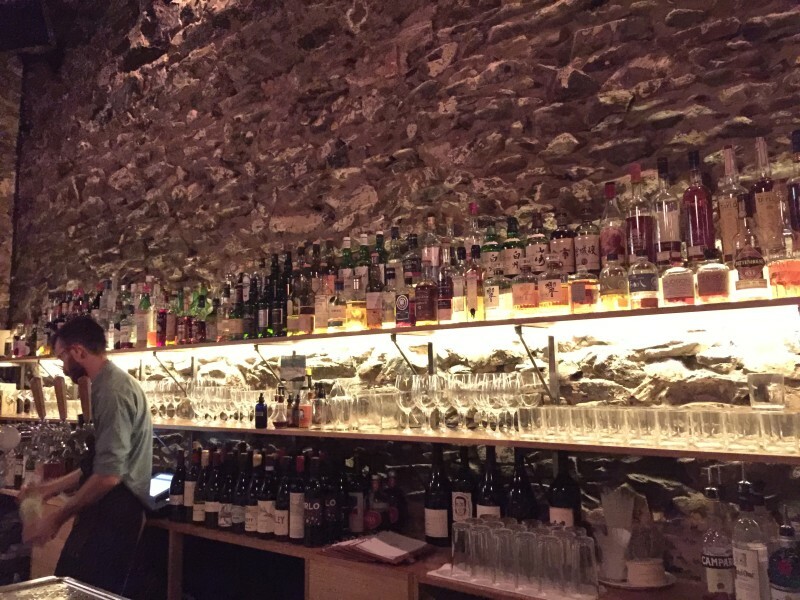 Its cool, relaxed vibe makes it a great place to end your day. For those who like their beers: try the AIPA. 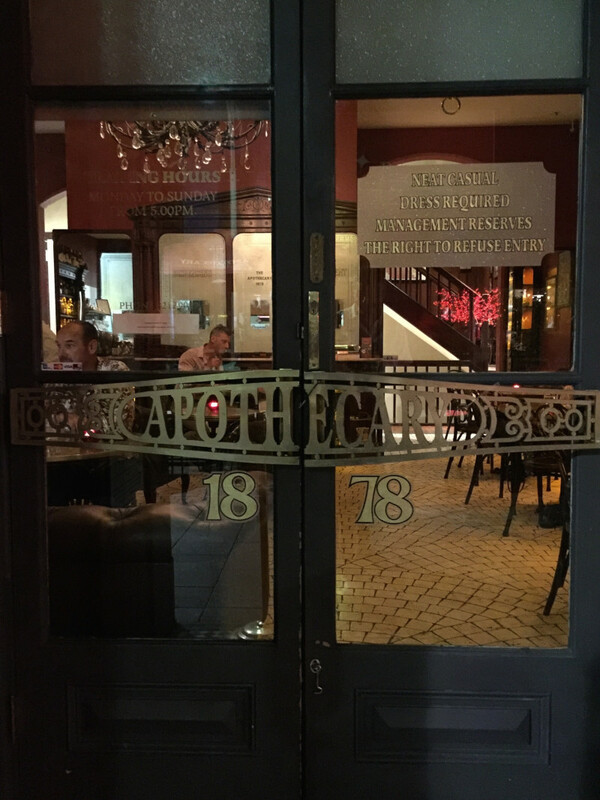 Another three I suggest are: Apothecary (see above – also a wine bar); Botanic (linked to the Golden boy restaurant: opens at 4), and Proof. 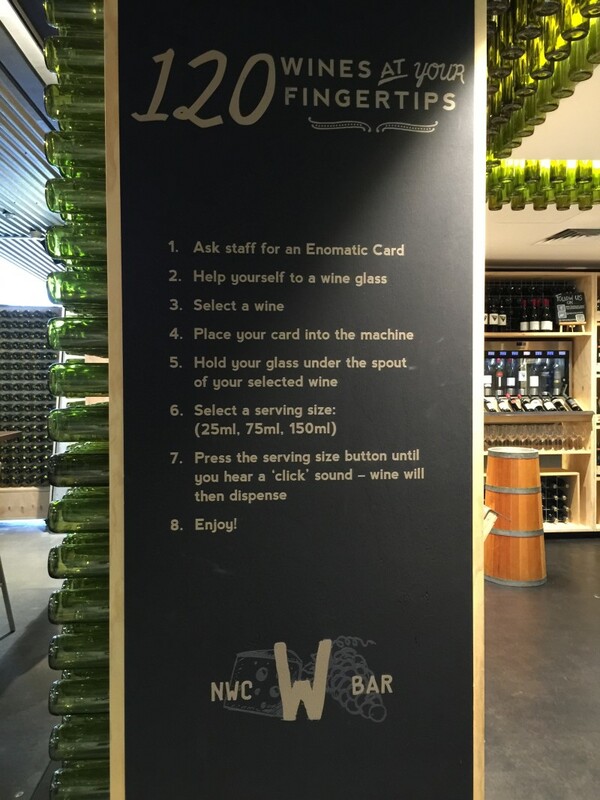 Oh and there’s of course the Wined Bar at the National Wine Centre (see below). The Adelaide shopping scene is not the most exciting one, but I noticed a few interesting stores in the small streets inside the newly developed block formed by the East Terrace, Rundle and Union Streets, nestled under the arches of the old fruits and produce exchange. The arches are all that remains of this once bustling old marketplace. 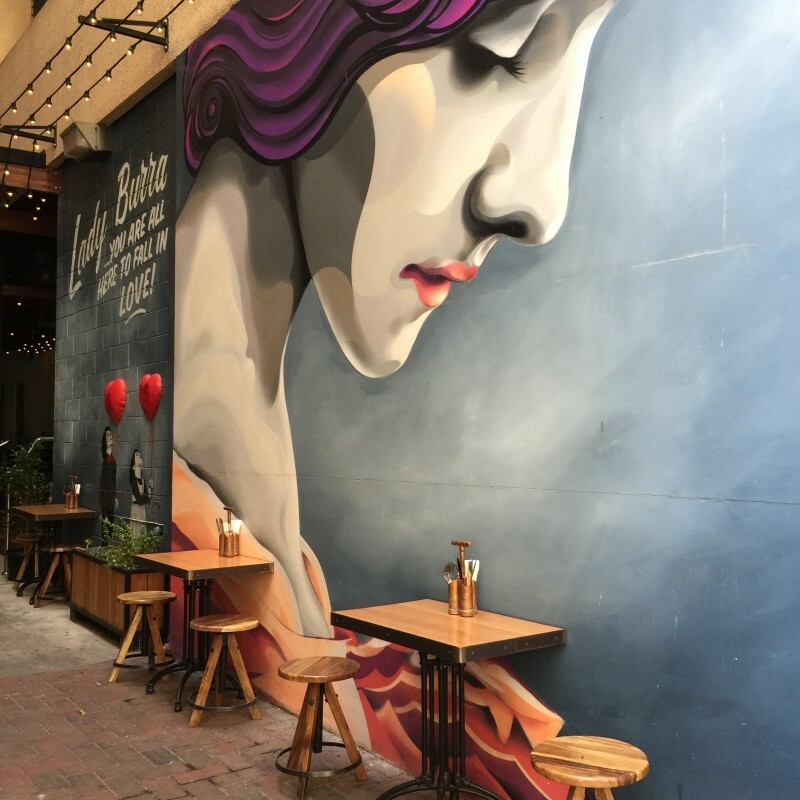 Guidebooks rave about the central market, and it’s true that it offers a great variety of locally grown produce but, once you’ve seen the markets in Melbourne (Victoria Prahran and even South Melbourne), it does just not compare. But it’s a nice experience if you enjoy urban markets. 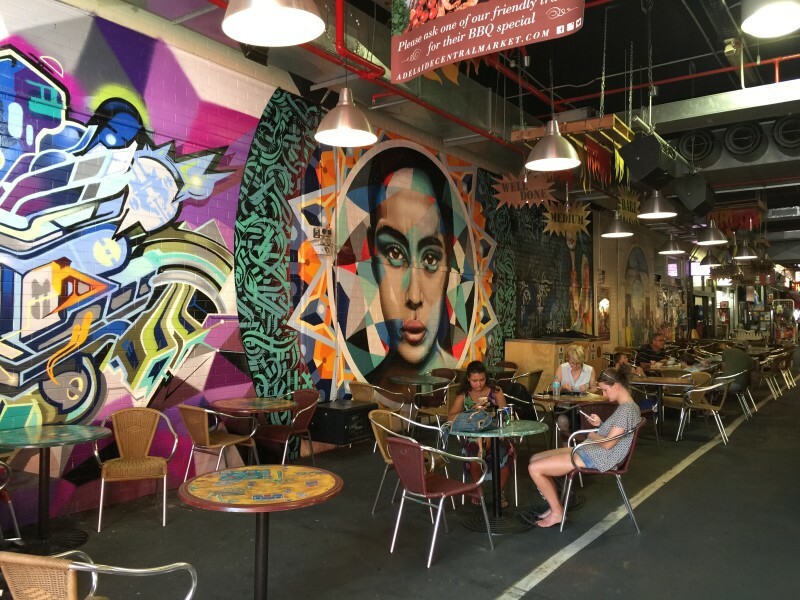 A place in the Central Market to enjoy a fresh pressed juice or any food from the stalls. 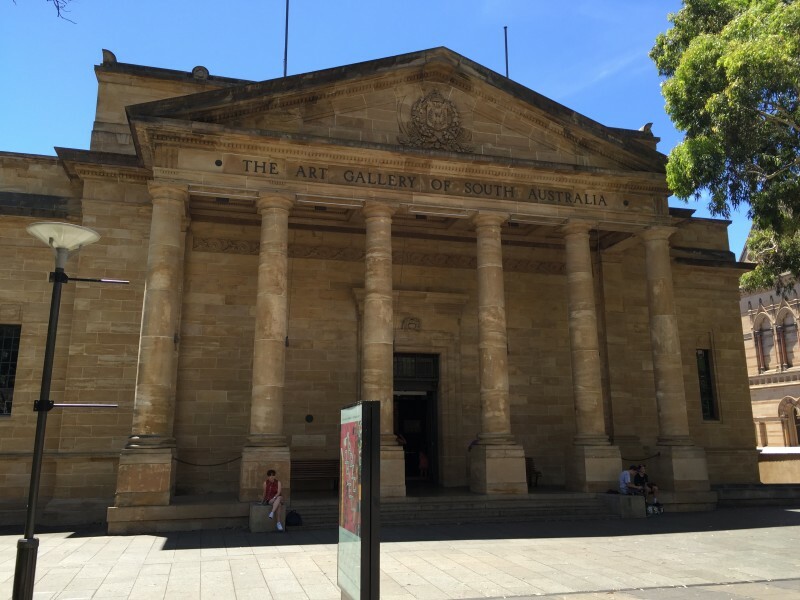 The Art Gallery of South Australia is a small museum on the grounds of the University of Adelaide. 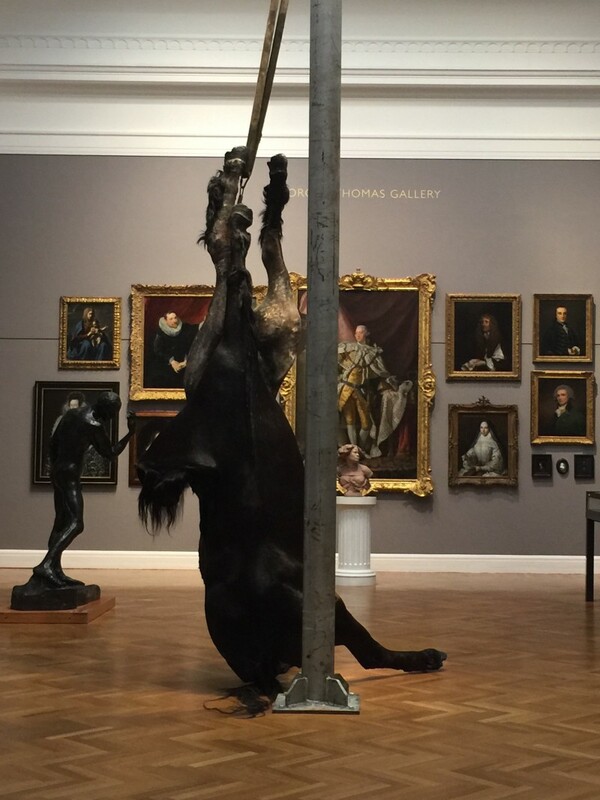 I found it interesting that it organizes exhibitions by theme rather than by period, mixing Old Masters with modern and contemporary artists in the same room around a central idea such as “seduced”, “journeys”, or “the human condition”. 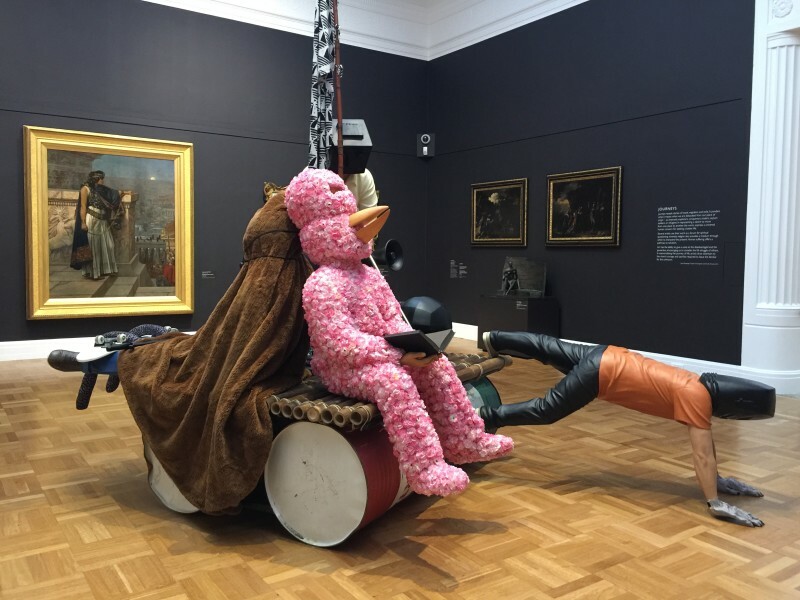 It’s a fresh way to experience museum scenography. 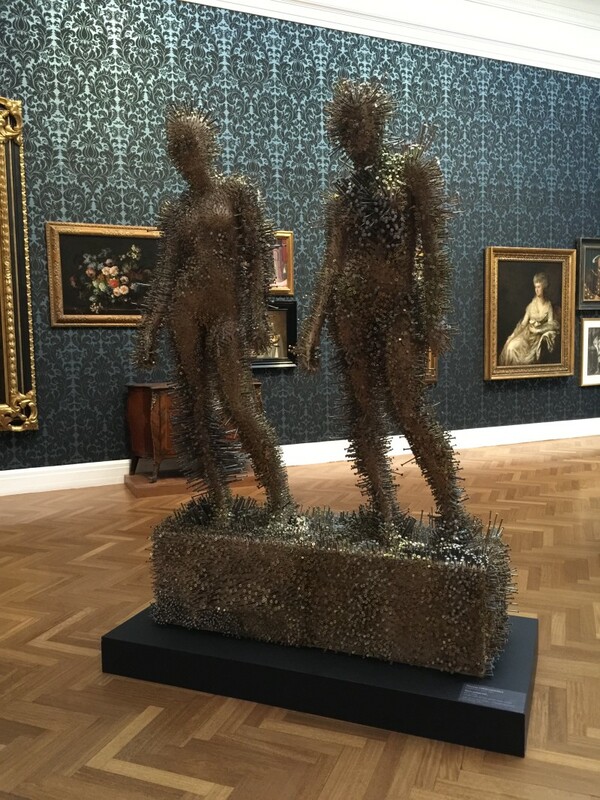 Thomas Hirschhorn, in “Seduced”, exploring the varied representations of love. Oups, what’s the name of this artist featured in “Journeys”, on stories of travel, migration and exile? 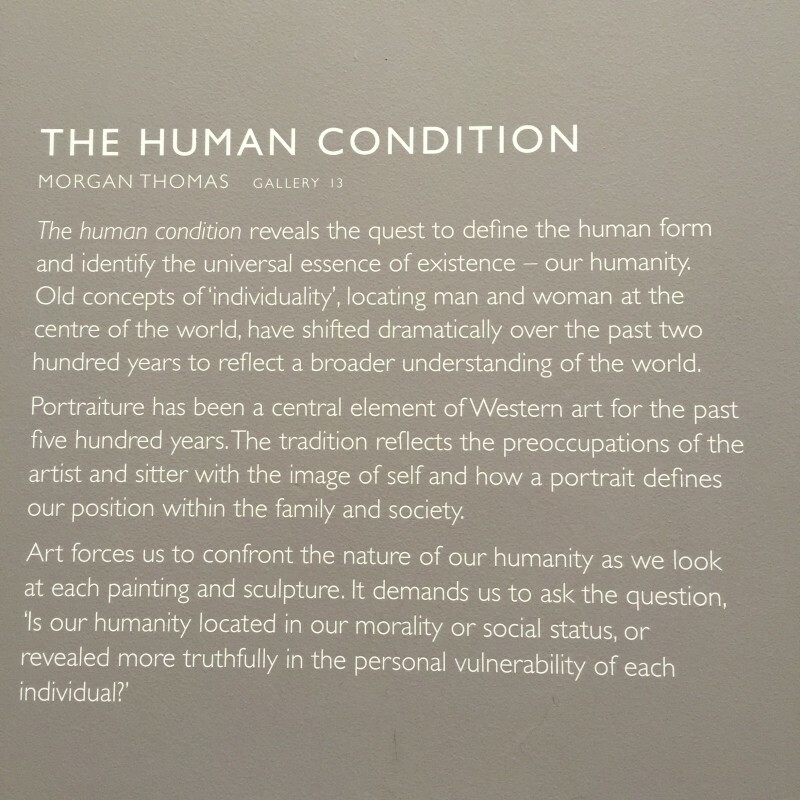 The “human condition” theme. Great thoughts to ponder upon..
South Australian Museum is a natural history museum. 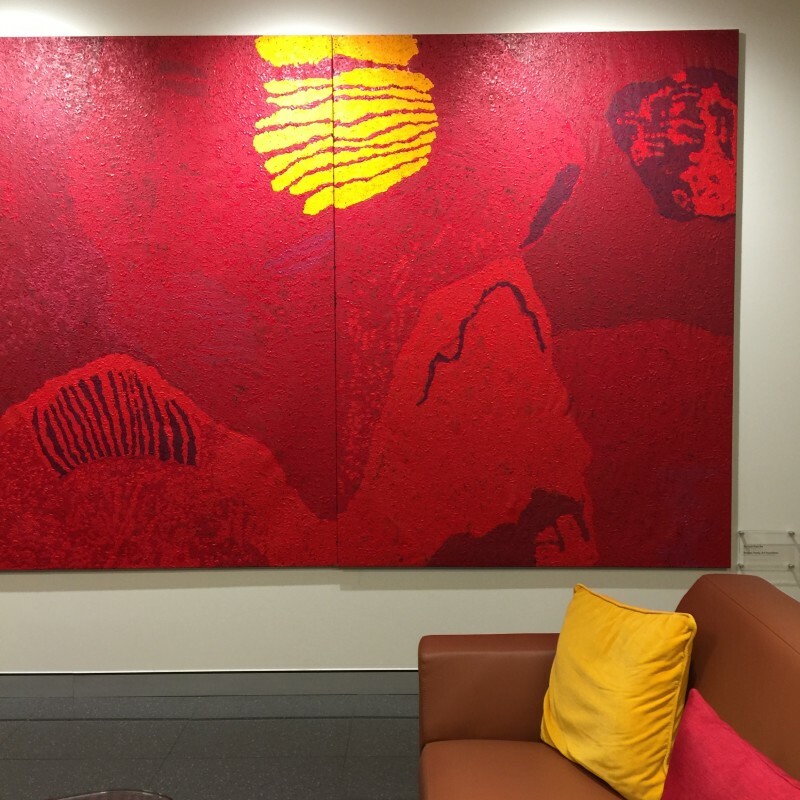 Go there for the galleries dedicated to Australian Aboriginal and Pacific cultures. Be sure to see the giant (faux) squid that is suspended within an old lift shaft, floating over four floors! 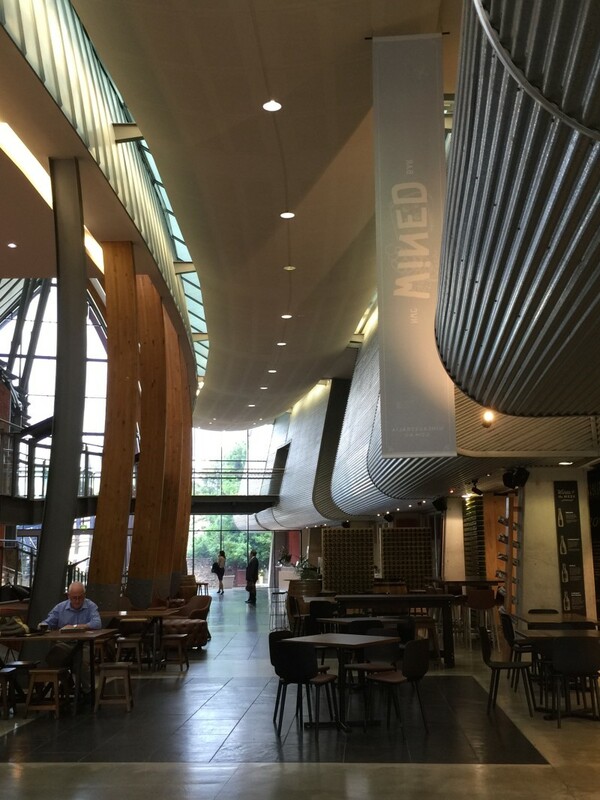 Linked to the University of Adelaide, the place boasts Australia’s largest tasting room experience where you can sample 120 different wines. 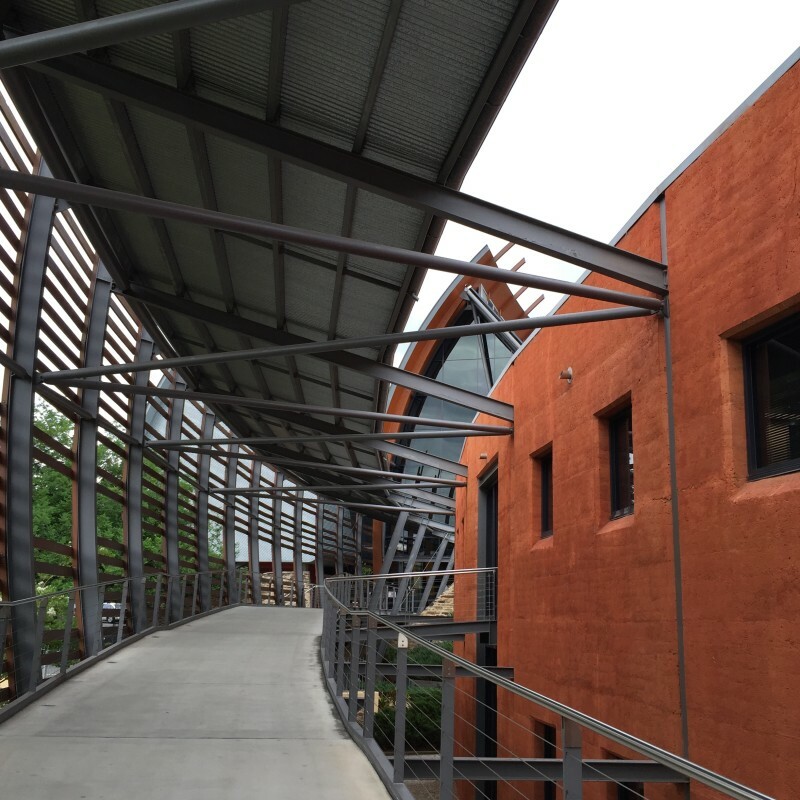 The building itself is worth a visit, award-winning architecture designed by Cox Grieve Gillett uses building materials to reflect items used in winemaking. 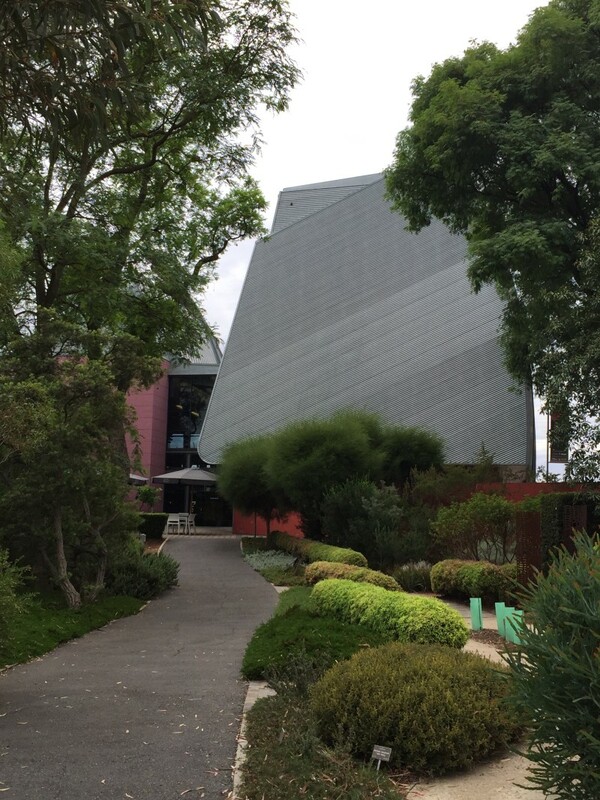 You can access it through the Botanic Gardens, also worth a visit. 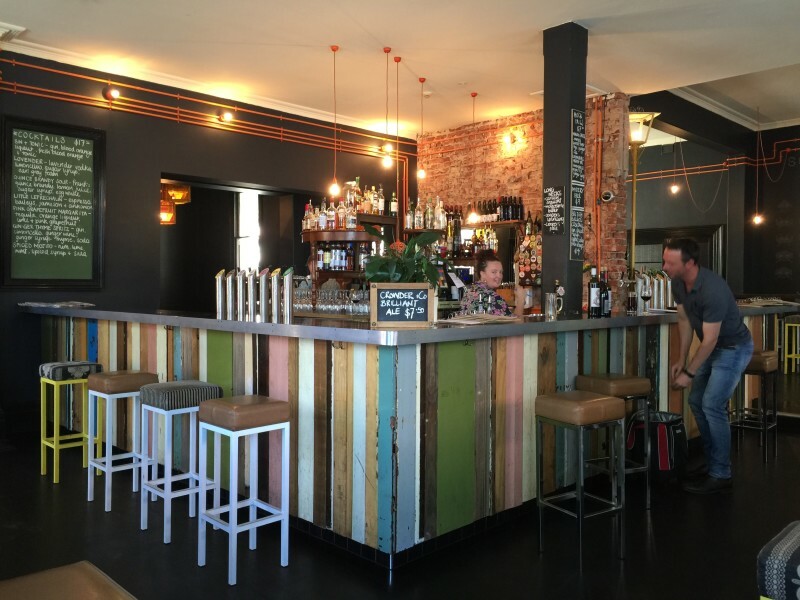 The Wined bar is great for a glass of vino and tapas. 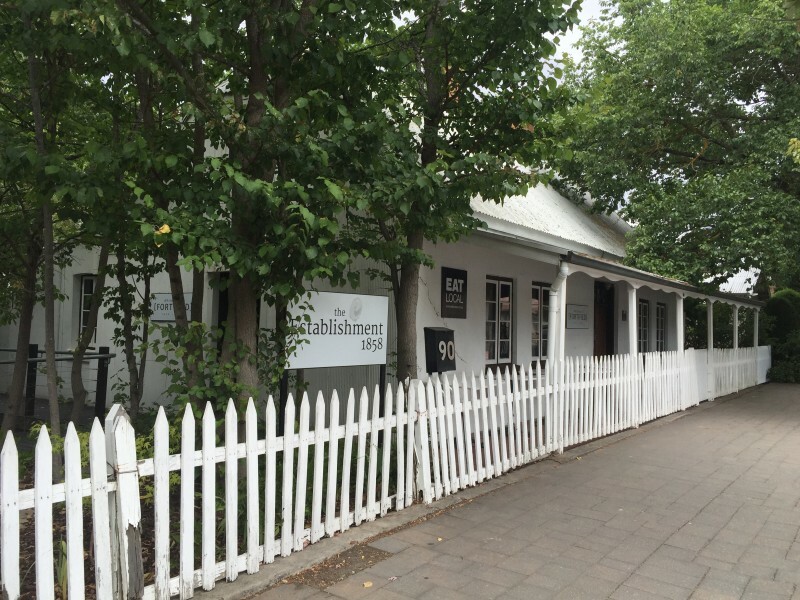 The Cellar Door offers more expansive menus for breakfast, lunch and dinner. Do you have a day or more to spend? 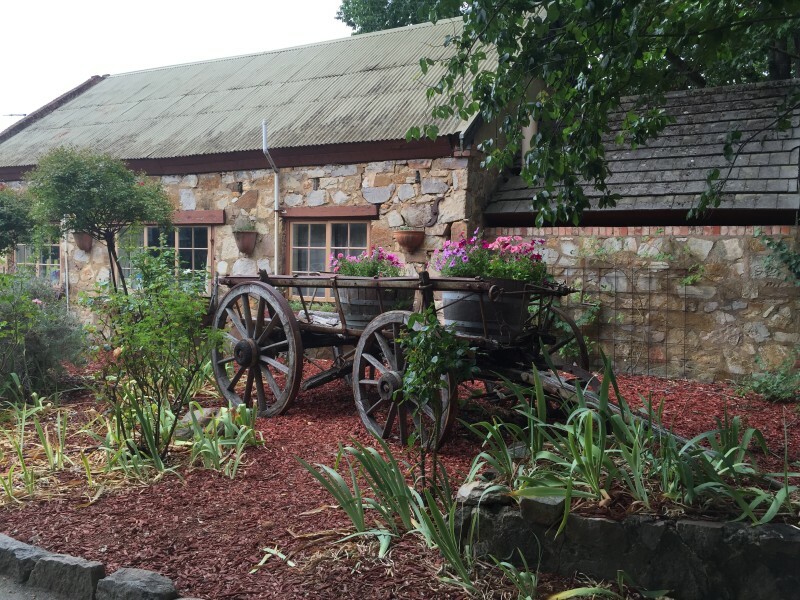 An afternoon: Hanhsdorf, located in the Adelaide hills, is a very cute little village founded by German settlers back around the 1840’s. 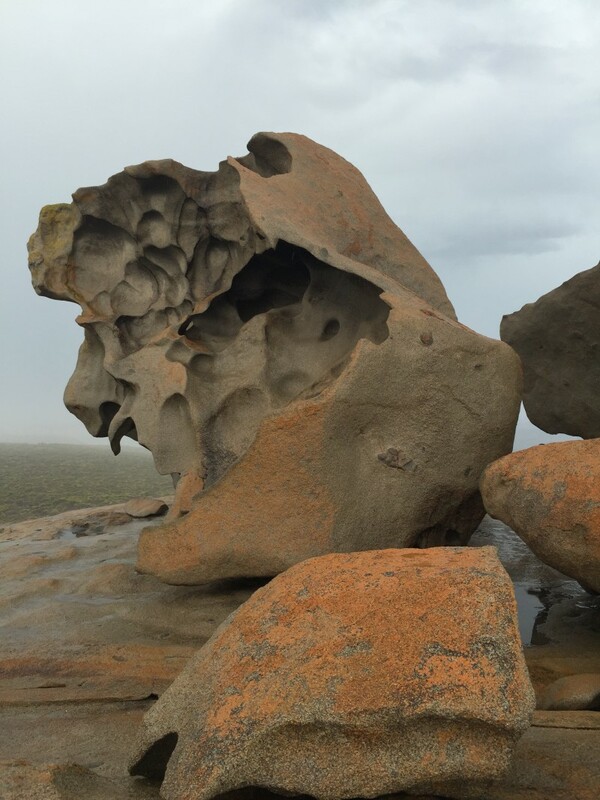 It is a 30-minute drive from Adelaide. A day: Mc Maren Vale. 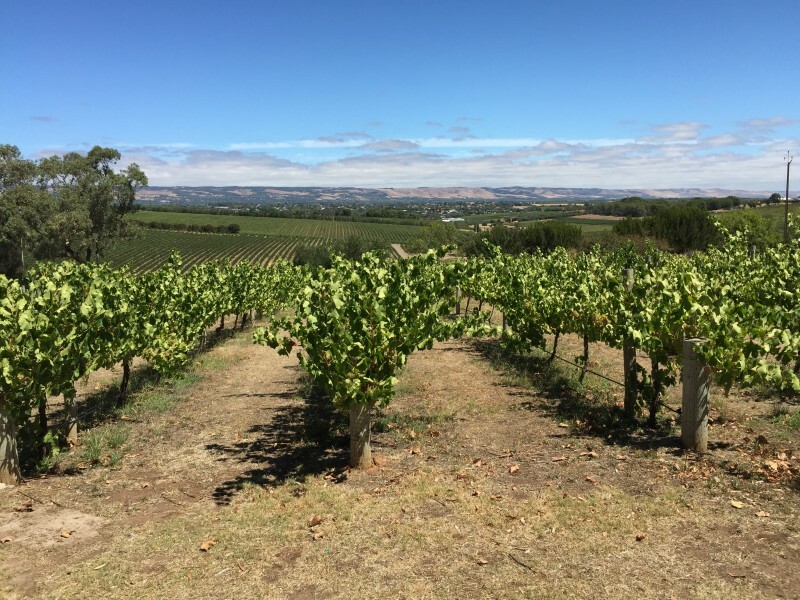 Immerse yourself in the vineyards that, according to some experts, produce wines that are about to surpass those of the Barossa regions. 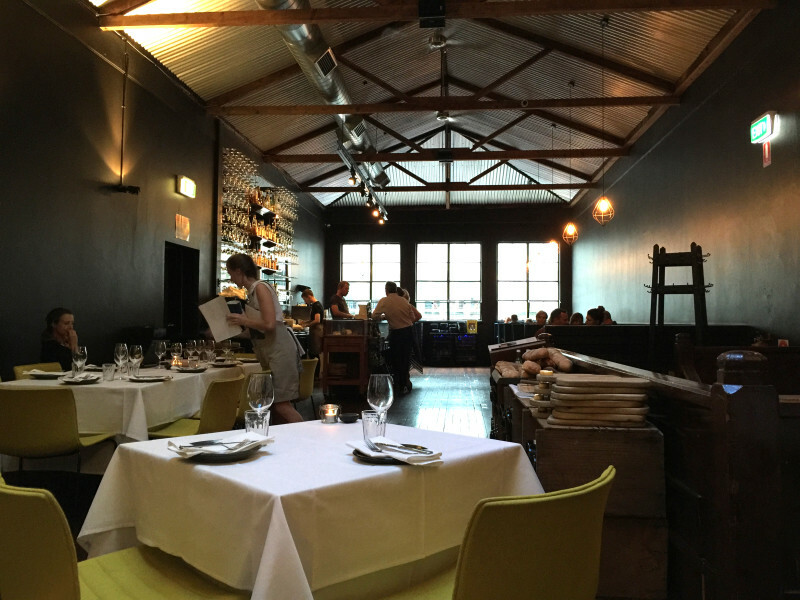 If you want a chef restaurant, book it in advance (avoid Sunday evenings because most of them are closed). We discovered the Beach Road Wines where you can dine on thin slices of pizza with beautiful wines inspired by Italy. 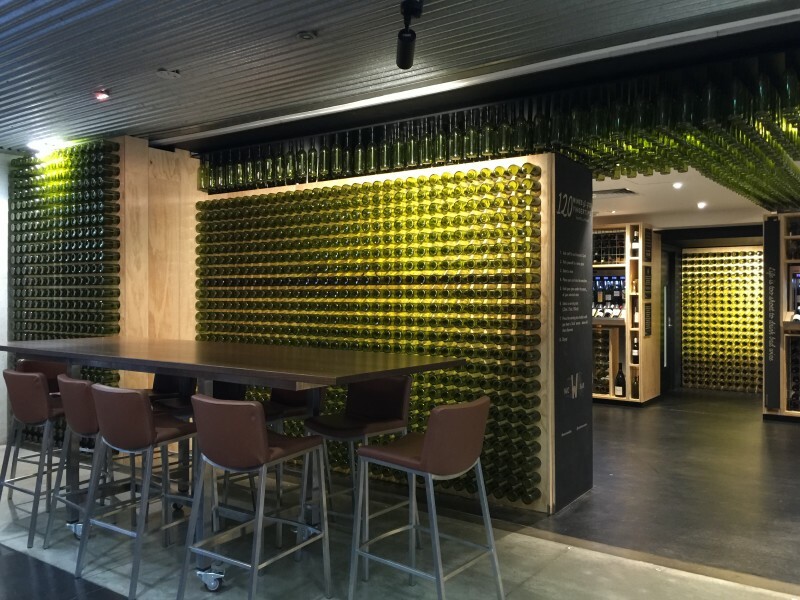 It’s a wonderful alternative to the “star cellar doors” that are often a tad overrated. The view on the vineyards from the Beach Road cellar door terrace. 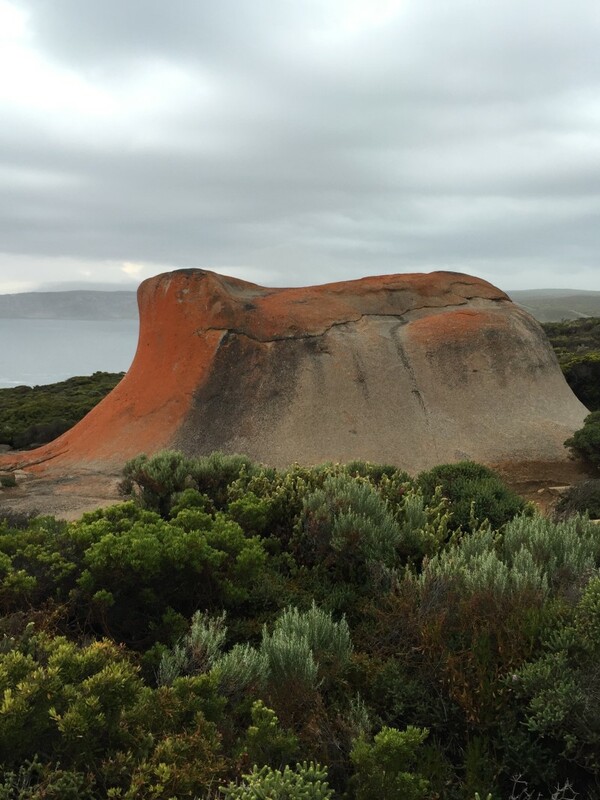 A few days: Kangaroo Island. Do you need to really disconnect? This is the real for unplugging; just a few hotels to pick from and only Telstra phone have a connection. But it’s got boatloads of beautiful nature. In fact, The Australians call it the Australian Galapagos for its splendid walks and wildlife. See kangaroos, wallabies, koalas, cockatoos, goanna (a giant lizard), sea lions, fur-seals and more. It’s the only place where you’ll be able to approach sea lions on the beach within a distance of 10 meters. But beware, as the touristic infrastructure is not optimal. The best walks are at the Flinders Chase Natural park, where there are only three hotels: a luxury hotel ( $1,900 per night for a single room with a minimum 2 night-stay), a camp with cabins, and a hotel that falls somewhere in-between which boasts the only restaurant around (book it in advance!). 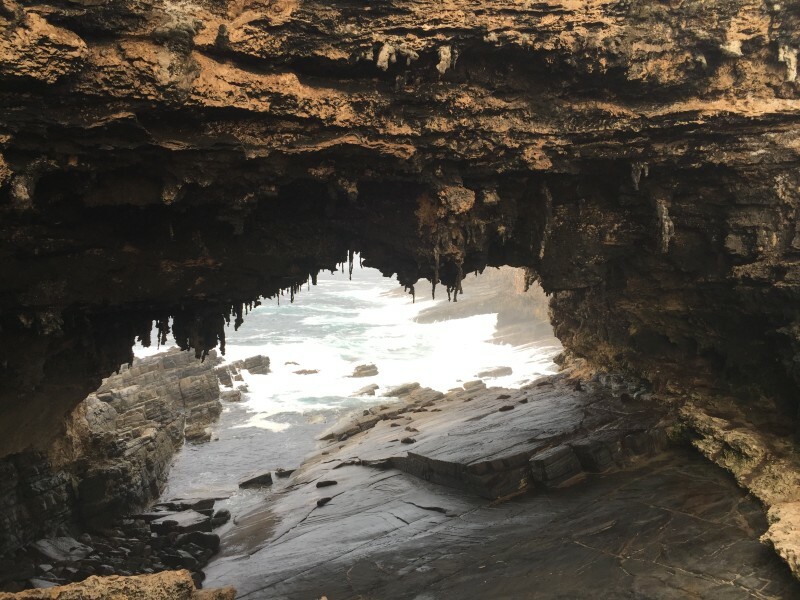 The Southern coast is for walks and wildlife watching and the Northern coast is for beautiful beaches. Expect mind-blowing nature and almost no restaurants. 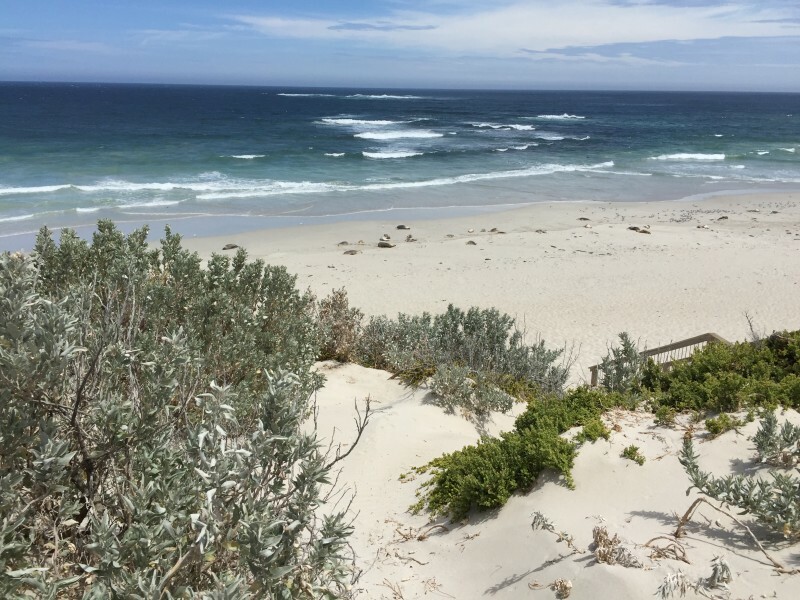 You’ll find a long, pristine white sand beach at Emu bay. 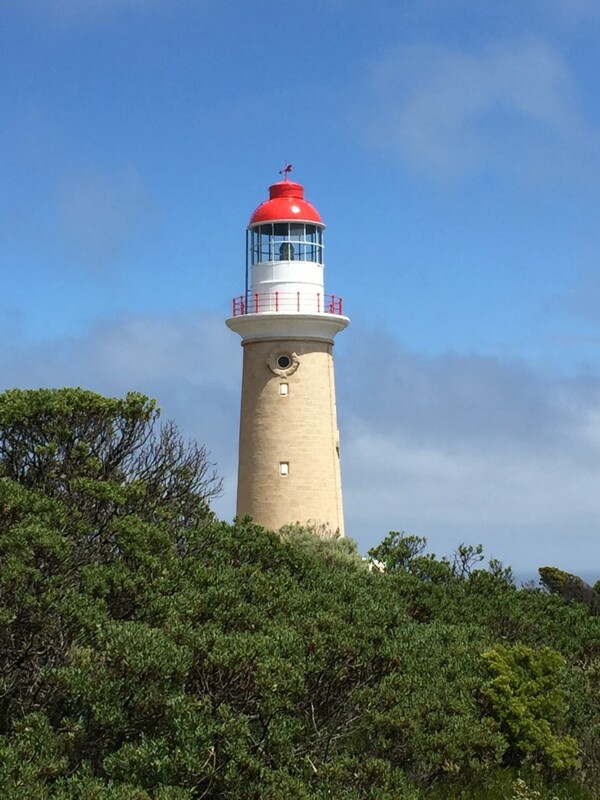 The only “town” on the island is Kingscote. American River is a nice place to spend the night if you take the ferry in the morning. You’ll need a car and book a place on the ferry. Count 1,5 to 2 hours drive from Adelaide to reach the ferry. Contact me if you need more details about this trip. I’ll be happy to share with you more details about this trip and to know which places you may discover. I almost forgot! 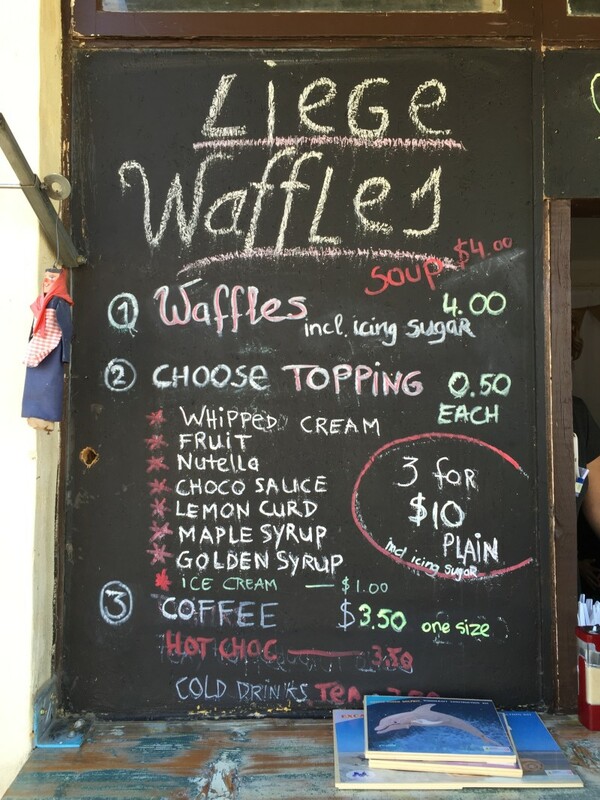 If you make the journey Adelaide-Melbourne by car (which is a long 8 hour-drive), don’t forget to stop along the way to pay a visit to Claudia, a lovely Dutch lady, married to a Belgian from Seraing, making Liege Waffles along the highway. 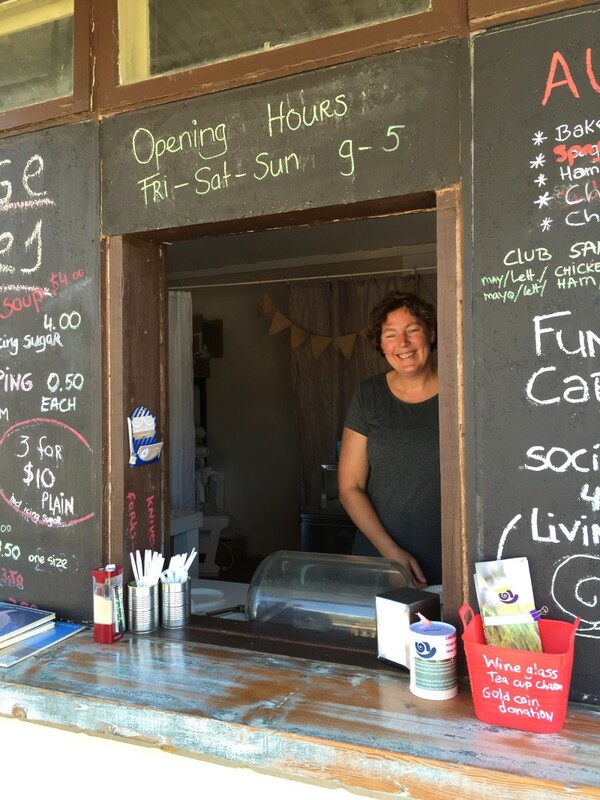 Her business is called Waffles and Jaffles and is located in Coolnapyn.